How to Eat clearly and succinctly explains how you can incorporate eating as a form of meditation. The book provides practical advice on how to become truly nourished through the mindful preparation, serving, eating, and cleaning up of food. Eating a meal in mindfulness reveals that you are nourished by the whole universe. This awareness helps develop compassion and understanding, reminding practitioners that there are things they can do to help nourish people who are hungry and lonely. How to Eat encourages moderation and taking time to truly savor what we eat. By doing so, you too can become healthier, more fully enjoy what you eat, and help reduce waste. 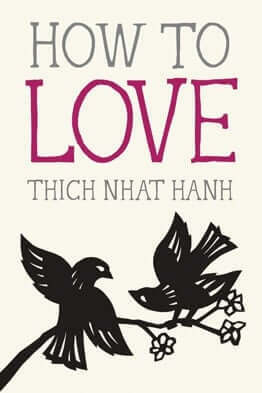 How to Eat is the second book in the Mindful Essentials series by Zen Master Thich Nhat Hanh. These friendly, pocket-sized books contain several delightful illustrations, and are appropriate for those practicing in any spiritual tradition and all levels of familiarity with mindfulness practice. Basically I feel grateful before eating, but easily forget to be grateful after eating.